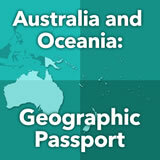 Students are introduced to the physical geography of the Pacific Countries, or Oceania. They learn about the various types of islands in the region and the role that tectonics has played in creating the physical features of the region. They learn about the flora and the fauna as well as the climate. Then they explore the Great Barrier Reef and research one of the threats to the reef. 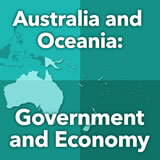 Finally, they describe what part of Oceania they would like to visit and explain why. In this experience, students are introduced to the physical geography of the Pacific Countries, or Oceania. They learn about the various types of islands in the region and the role that tectonics has played in creating the physical features of the region. They learn about the flora and the fauna as well as the climate. Then they explore the Great Barrier Reef and research one of the threats to the reef. 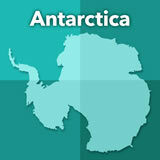 Finally, they describe what part of Oceania they would like to visit and explain why. 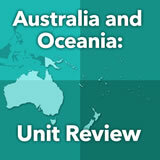 Identify the major physical features and climate zones of Australia and the Pacific. Explain how plate tectonics affect the region. Describe environmental issues that affect the region today. Oceania is the term sometimes used to designate the region of Australia, New Zealand, and the other Pacific Islands with related history, people, and cultures. It includes many thousands of islands! In this experience, you will learn about the physical geography of this region. Look at the map above and think about the word Oceania. Why do you think this part of the world is often called Oceania? The region is mostly water—ocean—not land. 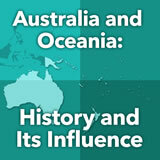 To begin your exploration of the region of Australia and the Pacific Islands, read and click through the Australasia and Oceania interactive. Write one fact you learned from the interactive and one question you have based on the interactive. As a class, discuss the facts that students learned. Then discuss student questions. Encourage students to look for answers to their questions as the experience proceeds. If there is time at the end, return to student questions to see if they were answered.